Why choose Posterior Lumber Interbody Fusion Hospitals in Bengaluru, India? Posterior lumber Interbody fusion in India is available at an affordable price at various recognized hospitals of Bangalore. 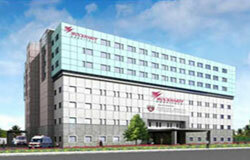 Posterior lumber Interbody fusion in Bangalore, India is performed by certified surgeons at state of the art hospitals. India offers a range of world quality doctors, hospitals and treatments at a fraction of world costs with comparable success rates and service levels. The additional warmth and natural caring that comes with India’s millennia heritage. Indian hospitals are skilled super specialists coupled with sound infrastructure and professional management, nurses and paramedical staff to take on international competition. Availing health tours to Bangalore, India for Posterior lumber Interbody fusion provides you low cost health recuperation and tourism vacationing. What is Posterior Lumber Interbody Fusion? Posterior lumbar Interbody fusion (PLIF) is a procedure used to treat problems such as disc degeneration, disc herniation and spine instability. In this procedure, the surgeon works on the spine from the back (the posterior) and removes a spinal disc in the lower (lumbar) spine. The surgeon inserts bone graft material into the space between the two vertebrae where the disc was removed (the interbody space). The graft may be held in place with a special fusion cage. The goal of the Posterior lumber Interbody fusion procedure is to stimulate the vertebrae to grow together into one solid bone (known as a fusion). A fusion creates a rigid and immovable column of bone in the problem section of the spine. Which part of spine and low back are involved in Posterior Lumber Interbody Fusion? Posterior lumber Interbody fusion surgery is done through an incision in the low back. The incision reaches to the spinous processes, the bony projections off the back of the vertebrae. A large block of bone, called the vertebral body makes up the front section of each vertebra. The vertebral bodies are separated by a soft cushion called an intervertebral disc. On the back of the vertebral body, the lamina and pedicle bones form a protective ring around the spinal canal. The spinal nerves are enclosed in the spinal canal and exit through small openings on the sides of each vertebral pair, one on the left and one on the right. These passageways are called the neural foramina. How Posterior Lumber Interbody Fusion Procedure is performed? Patients are given a general anesthesia to put them to sleep during Posterior lumber Interbody fusion surgery. As you sleep, your breathing may be assisted with a ventilator. A ventilator is a device that controls and monitors the flow of air to the lungs. During surgery the patient usually kneel face down on a special operating table. The special table supports the patient so the abdomen is relaxed and free of pressure. This position reduces blood loss during surgery. It also gives the surgeon more room to work. Two measurements are made before surgery begins. The first measurement ensures that the surgeon chooses a fusion cage or bone wedge that will fit inside the disc space. Second, to size the length of the pedicle screws, a CT scan is used to measure the length of the pedicle bone on the back of the vertebrae to be fused. The CT scan is a special type of X-ray that lets doctors to see the slices of bone tissue. A drainage tube may be placed in the wound. The muscles and soft tissues are then put back in place. The skin is stitched together. The surgeon may place you in a rigid brace that straps across the chest, pelvis and low back to support the spine while it heals. What happens after Posterior Lumber Interbody Fusion surgery? Patients are sometimes placed in a rigid body brace after surgery. The surgical drain is removed within one to two days. Patients usually stay in the hospital after Posterior lumber Interbody fusion surgery for three to five days. During this time, patients work daily with a physical therapist. The therapist demonstrates safe ways to move, dress and do activities without putting extra strain on the back. The therapist may recommend that the patient use a walker for the first day or two. Before going home, patients are shown ways to help control pain and avoid problems. Why consider Posterior Lumber Interbody Fusion Surgery Hospitals in Bengaluru, India? Posterior lumber Interbody fusion in Bangalore, India is conducted by the most qualified and recognized spine surgeons at the most comfortable and luxurious hospitals. Indian hospitals and clinics specifically adhere to high standards. Medical tourism in India offers a premium service for patients wishing to benefit from the high quality of Indian medical services and ensure patient’s acceptance into the most appropriate Indian hospital for their medical procedure. Many countries have developed links for speedy treatments in India for their nationals on account of the fact that in these countries one has to wait for extended periods of time to undergo operations. Affordable Posterior lumber Interbody fusion in Bangalore, India is performed using the latest medical technology and the success rate is at par with the West. Kindly fill up the form for a free opinion from our expert team. We shall get you a Free, No Obligation Opinion from India's best Surgeons and best hospital in Bengaluru, India. NO CHARGES LEVIED. Which are the Top Specialized Posterior Lumber Interbody Fusion Surgery Hospitals in Bengaluru, India? In recent years, India has emerged as a medical hub for patients looking for affordable, accessible and efficient low cost Posterior Lumber Interbody Fusion Surgery Treatment. 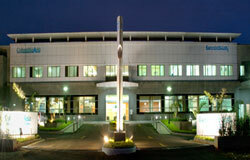 Some of the most coveted Posterior Lumber Interbody Fusion Surgery hospitals in the world are found in Bengaluru, India. The city is known for offering advanced medical facilities at the most reasonable cost. Fortis hospital Department of Neurology is committed to integrating their exceptional medical expertise, technology and innovation to offer best in class treatments. The department provides treatment for people with neurological disorders such as Parkinson’s, stroke, epilepsy, diagnosis and treatment of paralytic disorders, sleep disorders, multidisciplinary assessment and management of multiple sclerosis, and headaches. The department is staffed leading panel of surgeons, doctors and nursing staff who offer cutting-edge diagnosis using the latest neuroimaging techniques. The medical and support teams are highly qualified and have been trained in some of the best institutions in the world. The capabilities of the hospital include Cardiology, Orthopedics, Obstetrics & Gynecology, Internal Medicine, General Surgery, Pediatrics, Pediatrics Surgery Ophthalmology, Neurology & Video EEG, Neurosurgery, Deep Brain Stimulation (DBS), ENT, Urology, Gastroenterology, Dermatology and Plastic Surgery. Bariatric Surgery, Andrology, Cardio Vascular Thoracic Surgery, Clinical Hematology, Endocrinology, Intensive care/Critical care, Medical & Surgical Oncology, Nephrology, Neonatalology, Pulmonology, Rheumatology & Pediatric Rheumotology, Vascular Surgery, Bone Marrow (BMT), Liver and Kidney Transplants are some areas of special expertise. Columbia Asia Hospital – Whitefield is a comprehensive Super Specialty / Tertiary Care facility situated in Whitefield, the IT hub of Bangalore. The hospital is considered among the best hospitals in the city. The medical team is highly qualified and has been trained in some of the best institutions in the world. The capabilities of the hospital include Cardiology, Orthopedics, Obstetrics & Gynecology, IVF, Internal Medicine, General Surgery, Pediatrics, Pediatrics Surgery Ophthalmology, Neurology, Neurosurgery, Audiology, ENT, Urology, Medical & Surgical Gastroenterology, Dermatology, Dental and Plastic Surgery. Bariatric Surgery, Andrology, Cardio Vascular Thoracic Surgery (adult and pediatric), Clinical Hematology, Endocrinology, Intensive care/Critical care, (ICU, NICU, PICU), Medical & Surgical Oncology, Nephrology, Neonatalology, Pulmonology, Rheumatology & Pediatric Rheumatology, Renal Transplant and Vascular Surgery are areas of expertise. Columbia Asia Hospital – Hebbal is a 90 bedded multi specialty facility situated in the northern part of Bangalore, on the way to the Bangalore International Airport. 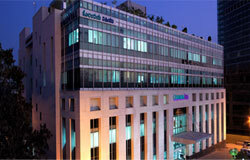 It was opened in July 2005 and was the first Columbia Asia hospital in India. This hospital caters to a wide range of clinical services varying from childbirth and orthopedics to complicated kidney surgeries. Over the years, the hospital has been recognized for its clinical excellence and service standards and has also become the landmark destination for quality medical care. 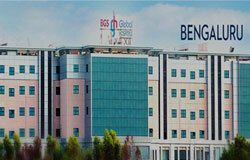 This facility is among the best hospitals in Bangalore and is also a preferred choice for International patients. The BGS Gleneagles Global Hospitals in Bengaluru is a state-of-the-art, NABH facility with expertise in multi-disciplinary tertiary specialties. BGS Gleneagles Global Hospitals is your trusted partner for all your healthcare needs. With over 500-beds, the hospital is one of the largest of its kind in Bengaluru and consists of 14-operation theatres, most advanced imaging facilities and has one of the largest liver ICUs in the country. The hospital caters to several key specialties including oncology, neurosurgery, liver diseases and various others. It brings advanced technologies that drive new and more effective treatments. BGS Gleneagles Global Hospitals caters to several overseas patients from around the world suffering from various disorders such as liver ailments, kidney failures, breast cancer, leukemia, neurological disorders amongst others. Gleneagles Global Hospitals, Bengaluru enjoys an international repute as a center of excellence for advanced clinical care. Bangalore Spine Care is the first spine hospital in Bangalore to introduce a relatively new surgical technique namely “Percutaneous Endoscopic Discectomy”. Bangalore Spine Care also facilitates for microscopic discectomy in selected cases. There is no need to excise any bone or supporting ligaments as is necessary with traditional Spinal Surgery. Incision is very small; just about 7mm. Risk of root damage and dural puncture is very rare as it is done on a conscious patient. Traditional spine surgery called Laminectomy and discectomy which involves cutting of important supporting structures like spinous process, laminae, supra and inter spinous ligaments. Long term results are not uniformly good because of development of instability of spine resulting in constant unrelenting back pain. Bangalore Spine Care offers its services to the patients of vertebral fractures resulted due to a fall or due to road traffic accident. Kyphoplasty and Vertebroplasty the two relatively newer procedures which involves filling in of PMMA cement into fractured vertebra also is done at spine care Bangalore. This procedure is a boon for patients who sustain osteoporotic fracture as a result of ageing. This procedure can also be done for victims of vertebral malignancy (cancer) and cystic lesions of the vertebra. Bangalore Spine Care also provides various conservative approaches to treat back pain with the collaboration of physiotherapists, naturopaths and best spine surgeons. At Spine Care Bangalore emphasis is on diagnosing the exact etiology of back pain and treating according to the specific need. Treatment is targeted to the individual patients need and not generalized. 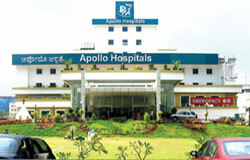 The Apollo Institutes of Orthopedics enjoy the reputation of being one of the pioneering bone and joint centers in the country with a legacy of innovation and excellence. The Institutes are at the forefront in offering the latest in orthopedic treatments and orthopedic surgical advancements on par with the best centers in the world. Our Orthopedician trained at the top centers worldwide, bring with them the latest and best techniques and work in our facilities that have the latest cutting edge technology in terms of equipments, operating rooms, recovery areas and advanced Physical therapy facilities. We have dedicated & well equipped orthopedic surgery complexes with laminar flow & various modern equipment like image intensifier, operating microscope, computer navigation system, top of the line arthroscopy system etc. Wockhardt Hospitals Bangalore has become one of the first super specialty hospitals in South Asia to achieve accreditation from Joint Commission International (JCI), USA. If Bangalore has come to be known as Asia's preferred medical destination, then Wockhardt Hospital is the choice for Super-Specialty healthcare. As Bangalore earns the tag of a multi-dimensional healthcare city, Wockhardt Hospitals on Bannerghatta Road takes the big leap into a multi-disciplinary Super-Specialty healthcare provider. One of the most preferred and recognized healthcare facilities by pharmaceutical companies for drug trials, the group’s flagship hospital in Bangalore is NABH accredited and ranked amongst the Top 10 multispecialty hospitals in India. Manipal Hospitals has a special significance in the overall healthcare industry of India and particularly in South India. A social seed sown more than five decades ago is today the country’s third largest healthcare group with a network of 15 hospitals and three primary clinics providing comprehensive care that is both curative and preventive in nature for a wide variety of patients not just from India but also from across the globe. The ethos of Manipal Hospitals is its belief in the credo of its triad of core values namely "Clinical Excellence, Patient Centricity and Ethical Practices" which have led to it becoming one of the best and most trusted healthcare providers in the country today. At Manipal Hospitals, we are at the leading edge of technological advancements in the medical world. This, along with state-of-the-art infrastructure and facilities, the finest minds in the country and a genuine desire for providing the best healthcare drives us to deliver path-breaking care for our patients on a day-to-day basis. From the smallest to the most complex medical problems, we pride ourselves in the way we deliver healthcare. 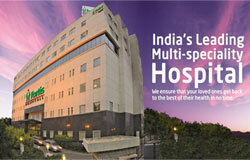 With its flagship quaternary care facility located in the heart of Bangalore city, five tertiary care, nine secondary care and three primary care clinics across five states, today Manipal Hospitals successfully operates and manages 4,900 beds and caters to around 2 million customers from Indian and overseas every year. 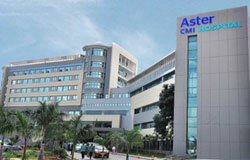 Aster CMI is DM Healthcare’s Bangalore project and a continuum of its endeavor of creating world-class patient-centric hospital. Everything at Aster CMI is designed keeping in mind the comfort of our patients. Aster DM Healthcare group, having taken up the challenge of revamping the existing massive structure, launched a comprehensive super-specialty hospital with contemporary state-of-the-art facilities accommodating close to 509 beds. The serene environment, spacious interiors and advanced facilities create a positive ambience that is conducive to healing. The aesthetics are planned to welcome every individual in his time of sickness or not in sickness. Obstetrics, cosmetology, dentistry, executive health check etc. is delivered in a completely non-hospital environment with separate access. ARE YOU ALSO A PATIENT WANTING TO TRAVEL TO BENGALURU, INDIA FOR LAMINECTOMY SURGERY? You can contact us and share your medical reports with us. Our International Patient Executive would connect with you and answer all that you need to plan your Laminectomy Surgery in Bengaluru, India. We would provide you with TOP RECOMMENDATIONS From Bengaluru, India and assist your with the surgery planning. Who are the Top Posterior Lumber Interbody Fusion Surgeons in Bengaluru, India? 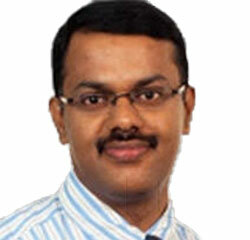 Dr. K Kartik Revanappa is a Senior Consultant Neurosurgeon at Apollo Hospitals, BG Road – Bangalore. He also consults at NeuroSpine clinics at numerous locations around Bannerghatta Road and JP Nagar. He completed MBBS from Dr. V. M. Government Medical College in 1990, MS – Orthopedics from Dr. V. M. Government Medical College in 2003 and M.Ch – Neuro Surgery from CMC Vellore in 2011. He is an esteemed member of the Apex body of world Neurosurgery – CNS (Congress of Neurological Surgeons). He is an active member of NASS (North American Spine Society) and NSI (Neurological Society of India). He actively is involved in clinical and basic neuroscience research with numerous publications in the spine and spinal disorders. Dr. Raghuram G. is working as the Senior Consultant Neurosurgeon and Spine Surgeon in the Yeshwanthpur, Hebbal, and Whitefield facilities of Columbia Asia Hospital since 2009. He has been part of the team that was instrumental in starting a “Movement Disorders and Parkinson’s Disease Clinic,” in Columbia Asia Hospital, which is one of the few centers in India performing deep brain stimulation surgery (DBS) for movement disorders including Parkinson’s disease, with excellent outcomes. 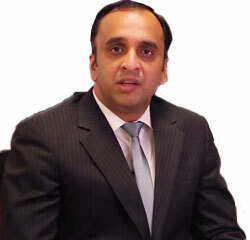 It was at Jaslok Hospital and Research Center in Mumbai and Lokamanya Tilak Municipal Medical College, Mumbai, which are the oldest tertiary referral care centers, having a dedicated neurosurgery OT, with the state-of-the-art facilities for treating advanced and complex neurosurgery problems, that Dr. Raghuram trained in all aspects of neurosurgery such as vascular, skull base, pediatric neurosurgery, minimally invasive neurosurgery, trauma surgery, epilepsy surgery, and functional neurosurgery. His neurosurgical areas of interest being functional neurosurgery and minimally invasive neurosurgery, Dr. Raghuram is trained to perform many kinds of complex brain surgeries including skull base surgery and endoscopic surgeries, with great clinical precision. His proficiency in conducting neurosurgical and Neuronavigation procedures, dedication to patient’s well-being, and passion for teaching postgraduate students and nursing staff, aided by his interesting case presentations have won him profound reverence from his peers. Over the years, Dr. Raghuram has been performing innumerable complex brain surgeries and all types of spinal surgeries including advanced minimally invasive spine surgeries. 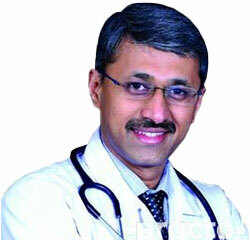 Dr. Raghuram’s medical career began after his basic graduation (MBBS) from the well-known M.S. Ramaiah Medical College, Bangalore, Bangalore University, India, in 2000. Following his DNB (Neurosurgery) from the prestigious Jaslok Hospital and Research Centre, Mumbai and Lokamanya Tilak Municipal Medical College, Mumbai, in 2007, he went on to do his Fellowship in Streotactic and Functional Neurosurgery, Tokyo Medical University, Japan in 2011. As an undergraduate, Dr. Raghuram has had many outstanding academic achievements that include: obtaining second rank for the Bangalore University, 2 gold medals from the said university, best outgoing student award, 2 gold medals from the M.S. Ramaiah Medical College, Bangalore, etc. During his neurosurgical career, Dr. Raghuram has organized and participated in a number of workshops, conferences, CME meetings, and neurosurgical seminars. He has presented an number of papers nationally and internationally, notable being, a paper on DBS for Meige syndrome in the world society meet, in 2013, in Tokyo and two papers in the world society of stereotactic and functional neurosurgery meet, in 2015, in Mumbai. He has the honor of being a faculty at many meets and has given many guest lecturers of interest. 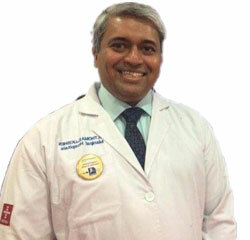 Dr. Rajamani completed his MBBS in 1990 from the Christian Medical College Ludhiana, and following which he joined the Christian Medical College Vellore in 1994 for further training in Neurosurgery. Following his training in Neurosurgery, he joined back in the CMC Ludhiana as a senior registrar, and later as an assistant professor. He then moved on to Pondicherry Institute of Medical Sciences, where he was acting head of the department for a short period of time, and then became the head of the Division of Neurological Sciences in 2005. During this period, he underwent further specialization in the field of vascular neurosurgery, under one of the most experienced aneurismal surgeon, Prof. Hirotoshi Sano and Prof. Suzuki, the father of cranial bypass surgery. He had presented his work on the skull base neurosurgery, a complex field at the International College of Surgeons, during his convocation and was awarded the best research paper award in the country in 2004. He furthered his specialization in vascular neurosurgery, just prior to joining Columbia Asia in December 2007, and was also the chief coordinator for the 13th WFNS interim Meet and 12 AACNS meet in Nagoya Japan. He has also trained in vascular neurosurgery in Fujita Health University, Japan, under the auspices of the WFNS, and was invited as a senior clinical fellow, where he trained in the art of “clip reconstruction” of blood vessels of the brain. During this period he was also trained for spondylotic disease of the spine, especially in disc replacements and fixation and stabilization of the spine. He has a number of awards, papers and presentations in international journals and conferences to his credit. He has also been a conference organizer for the 12th Interim Meet of the WFNS. He has won the best research paper award for “Skull Base Reconstruction” at the International College of Surgeons meet in 2004, and has also won the best e-poster award at the 12th Interim Meet of the WFNS. 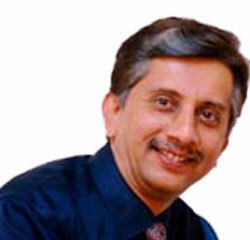 Dr Thimappa Hegde is the Director of the Narayana Institute of Neurosciences. After training in Neurosurgery at the prestigious National Institute of Mental Health and Neurosciences (NIMHANS), Bangalore, he served as the faculty of NIMHANS and rose to the position of Additional Professor of Neurosurgery. He worked in NIMHANS for over 20 years during which he was instrumental in initiating Stereotactic and Functional Neurosurgery. He also did a fellowship in skull base surgery in Washington D.C.
Dr. Hegde has performed several thousand Neurosurgical procedures. He has authored 30 scientific publications in leading journals and has contributed chapters to a book on the history of neurosciences. Recognized by the Lions Club of Bangalore as an ‘Outstanding Citizen’, he visited USA and Canada on a special exchange program from the Rotary International. He was invited by the Vatican to speak at an International Meeting at the Vatican City and had a special audience with the POPE - His Holiness John Paul II. Dr. Hedge’s interests include Stereotactic and Functional surgery, Spinal surgery and fusions, Neurotrauma, Neuro-endoscopy and Neuro-oncology. Dr Madhusudan H V is a leading neurosurgeon of India with specialization in Neuro oncology, Gamma Knife Radiosurgery and Functional Neurosurgery. He has performed more than 6000 brain and spine surgeries till date with excellent outcomes. Dr Madhusudan finds his expertise in Minimal access neurosurgery, removing tumor of the brain and spine and device implantations. He is the first surgeon in Karnataka to perform the lumbar disc replacement as well as the Interspinous device implantation in 2006. With over 22 years of neurosurgical experience, Dr Madhusudan H V is an expert in micro neurosurgery, endoscopic neurosurgery and frameless navigation. He is also well trained in spinal surgeries and finds interest in minimal access spinal surgeries and spinal instrumentation. He is credit with the establishment of department of Neurosciences in Narayana Hrudalaya in Bangalore and headed the department for more than 2 years. Dr Madhusudan H V has made huge contributions towards neurosurgery and neurosciences in India. His dedication earned him the Fellowships of prestigious institutes in the medical world and he is counted upon the top neurosurgeons in the country. His work has been appreciated both in India and abroad and has earned him several awards and recognitions as well. Apart from excelling in the Academia by being a Topper in all qualifying examinations, he has also won many Gold medals and accolades all through his career including “Best Outgoing Student of The Year’’- NIMHANS 2007. Trained in one of the best Neuroscience Institutes in the country, Dr Praveen K S is an accomplished Neurosurgeon able to handle the entire spectrum of Brain and Spine disorders including Trauma, Oncology, Minimally Invasive Surgeries, Complex Instrumentation, Vascular and Pediatric Disorders. He has actively participated in and conducted many outpatient camps in various districts of Karnataka. His commitment to patient care, attention to detail and quality control of outcomes are a result of bringing latest techniques and Industry Best Practices into the parlance of clinical practice. He has attended various CMEs and National and International Conferences and has presented scientific papers on various neurosurgical topics. Having over 10 years’ experience in the field of Neurosurgery after qualifying, he has performed over 4000 neurosurgical procedures. 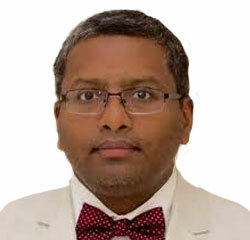 Dr. Komal Prasad is a Senior Consultant, Neurosurgeon and Spinal Surgeon at Health City Cayman Islands. He performs neurovascular surgery and endoscopic procedures of various brain and spinal injuries. Dr. Komal is an Executive Committee Member of the Young Neurosurgeon Forum of the prestigious World Federation of Neurosurgical Societies (WFNS). He is also Secretary of the Neuro-Spinal Surgeons Association in India. He has been invited Guest faculty for Neurosurgical continuing education programs and cadaveric workshops. He has successfully organized conferences on Neurosciences and Spinal surgery like Annual Conferences of Neuro-Spinal Surgeons Association of India (NSSA) and Karnataka Neurosciences Academy. In addition to his clinical education and practice, Dr. Komal holds with distinction, a postgraduate diploma in Hospital and healthcare management (PGDHHM) and a postgraduate diploma in Medical Law and Ethics (PGDMLE) from the National Law School of India University (NLSIU), Bangalore. Dr. Amrithlal A. Mascarenhas completed his FNB (Spine Surgery) National Board Fellowship in Spine surgery from Indian Spinal Injuries Center, New Delhi, India. His practice is devoted exclusively to the treatment of complex pediatric and adult spinal deformities such as scoliosis, fatback syndrome, high-grade spondylolisthesis, and major truncal imbalances due to various spinal deformities. 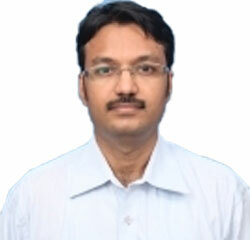 Based on his past academic and clinical achievements, Dr. Amrithlal has good experience in managing the latest and safest techniques for surgical correction of the most severe spinal deformities. His surgical skills in spine also include Percutaneous Techniques like Lumbar Discectomy with Endoscopic Discectomy, Percutaneous Pedicle Screw Fixation, Minimally Invasive Spinal Fusion, Odontoid Screw Fixation, Kyphoplasty and Vertebroplasty. Dr. Shibu Vasudevan Pillai is a Senior Consultant at the department of Neurosurgery in Mazumder Shaw Medical Centre, Bangalore. He is a well known pediatric neurosurgeon in Bangalore and provides services for a wide range of neurological diseases and disorders. He finds interest in pediatric neurosurgery and neurosurgery in general that includes deep brain stimulation surgery, spine surgery, brain trauma surgery, surgery for brain tumor, brain lesions and severe diffuse head and brain injuries. He was an observer at the Centre for Image Guided Neurosurgery in USA where he attended a course on the principles and practices of Gamma Knife Radiosurgery. He is highly trained in the management of pediatric patients with severe neurological disorders and has performed a large number of pediatric neurosurgeries in his career. Having an extensive experience of close to two decades, Dr. Shibu Pillai has a large number of publications to his credit. His papers involve studies based on severe traumatic brain injuries, cerebeller abscess in pediatric patients, infant brain tumors and intra cranial tumors, intra cerebral hemorrhage, post concussion syndrome, etc. He also provides services for cerebral perfusion pressure management in case of severe diffuse head injury, post head injury syndrome and intensive care management of patients suffering from head injuries. An esteemed member of various medical societies, Dr. Shibu Vasudevan Pillai has presented papers and posters in a number of national and international conferences and scientific meetings. Along with his practice he also takes out the time to teach and train young surgeons in the field of neurosurgery. His works have been appreciated by his peers and colleagues and he also received several awards and appreciation for his contributions towards the field of neurology and neurosurgery. He regularly conducts workshops and CMEs and shares his experience and knowledge with aspiring neurosurgeons. Dr. Vidyadhara has about 15-years of post-qualification experience and is currently HOD & Consultant Spine Surgeon at Manipal hospitals, Bangalore. He performs about 600 procedures annually and totaling to over 6000 successful spinal surgeries so far. He had a very successful academic career winning more than 30 national & international awards along with over 35 international publications in indexed journals. 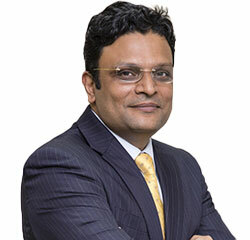 He has worked in most reputed centers of excellence in spine surgery across the globe. Dr. Vidyadhara S was awarded the ISCA Young Scientist Award from the then President of India, Dr. APJ Abdul Kalam in 2006, Lester Lowe SICOT Award in 2007 and ISSLS Best Research Award in 2010. In 2012, he was honoured to be third Indian winning the prestigious SRS Traveling Fellowship to visit the best centers for Spine Surgery in USA. With a solid experience in Bangalore for 20 years and 7500 Surgeries under the belt, which brought him into the forefront of minimally invasive surgery a decade ago? Bangalore is now at par with the best of spinal centers around the world. Dr. Arjun has been trained in newer technologies including artificial disc replacements, endoscopic disc surgery. Minimal invasive tumor excision. To add to this, he is well trained in all microscopic brain surgeries and functional neurosurgery for Parkinson’s disease, spasticity, and urinary incontinence. 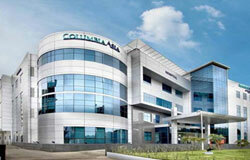 At the Columbia Asia Hospitals, patients are given world-class treatment on par with Hospital in the western world. 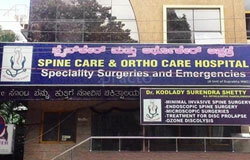 An ideal place for spinal surgery in Bangalore. Presently senior consultant Neuro-Surgeon & Spine Surgery at the Columbia Asia Hospitals was earlier Chief of Medical services at Sakra Hospital. 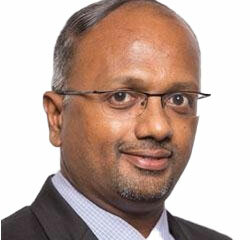 Dr. Thomas Kishen is a Spine Surgeon working at Manipal Hospital, Bangalore, India. He completed his basic orthopedic training (D.Ortho) at Kasthuraba Medical College, Manipal and was awarded the Dr. Premananda Nayak Gold Medal for standing first in the University. Following this, Dr. Kishen trained at PSG Medical College, Coimbatore for the Diplomate of the National Board (Orthopedics) and was awarded the Professor M.V. Daniel Gold Medal for Exemplary Commitment to Patient Care during this period. He then went on to receive the Dr. Balu Sankaran Gold Medal for standing first in India in the Diplomate of the National Board Exam in Orthopedics for the year 2001. Dr. Kishen undertook his Spine Surgery fellowship training at Ganga Hospital, Coimbatore and received the ASSI-Depuy Best Spine Research Award during this period. He then spent five years in Sydney, Australia where he underwent advanced training in Spine Surgery at St George Hospital, University of New South Wales. He is experienced in all aspects of non-operative and operative management of spinal disorders affecting all regions of the spine from the neck to the lower back. Dr. Kishen has a special interest in the management of spinal deformities (scoliosis and Kyphosis). During his tenure in Australia, Dr. Kishen was involved in teaching at the University of New South Wales and was awarded a Graduate Certificate in University Learning and Teaching. He has published numerous papers in peer-reviewed journals and has contributed chapters to books on Spine Surgery. Dr. Arun L Naik works as a Senior Consultant Neurosurgeon and Head of the Department of Neurosurgery at Apollo Hospitals, Bangalore, India. He completed his MBBS from Karnataka University. 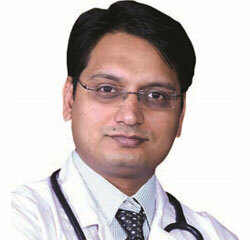 He was trained in Neurosurgery from the prestigious All India Institute of Medical Sciences, New Delhi. Dr. Arun has set up neurosurgery departments in various Private hospitals like BGS Global Hospitals, Hosmat Hospitals and Sri Sathya Sai Institute of Higher Medical Sciences at Bangalore. He is practicing in the city for last 17 years. He was the first neurosurgeon to perform the Neuronavigation surgery using the Second Generation Neuronavigator tool in the country in 2001. He has also designed a specialized hand instruments for treatment in Neurosurgery. Dr. Arun is backed by an eminent team of neurosurgeons and spine surgeons and together they have performed thousands of complex brain, spine and nerve surgeries. He is adept at managing Brain Tumors, Pediatric brain tumors, Pediatric spine diseases, Parkinson's disease, Pituitary adenomas and complex spine problems. Dr. M.S. Somanna is a Consultant Joint Replacement and Arthroscopic Surgeon. He has graduated from Kasthuraba Medical College, Mangalore. He has a vast experience of over 12 years to add to his credit. He is skilled in Arthroscopy of knee, Shoulder, Arthoplasty and Regenerative medicine and with special emphasis on stem cell based cartilage repair. Dr. Somanna has his MS in Orthopedics. He has worked in various hospitals in India, which made him proficient. He has also been associated with renowned hospitals like Narayana Multispecialty Hospital, Hosmat Hospital, Basappa Memorial Hospital, Mysore, Kasthuraba Medical College, Mangalore and etc. His interest lies in joint replacement surgery, cartilage repair, sports injuries, and shoulder surgeries. Dr. Somanna has been an active participant in attending several conferences and seminars. He has attended many workshops and talks, and presented papers and abstracts. He has a Fellowship in Adult Joint Reconstruction. He has been awarded Fellowship in Arthroscopic Surgery and Sports Medicine by OASI, Bioresearch Foundation - Milan, Italy. Dr. Kishor Rao is a consultant neuro and spine surgeon at the Global Institute of Neurosciences (GIN) in the BGS Gleneagles Global Hospitals, Bangalore. He has performed thousands of neurosurgical procedures and has special interest in areas like endoscopic skull base surgeries, pediatric neurosurgery and spine surgeries. Dr. Kishor Rao began his neurosurgical career as a senior resident at SMS Medical College, Jaipur. 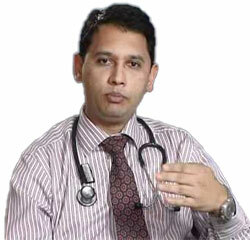 Later he worked as consultant neurosurgeon at Vikram Hospitals, Bangalore, and Sagar Hospitals Bangalore. 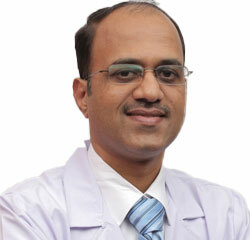 At present, he is consultant neurosurgeon at BGS Gleneagles Global Hospitals, Bangalore. Dr. Kishor Rao has participated in many prestigious seminars and attended various CME's, workshops and conferences across India. 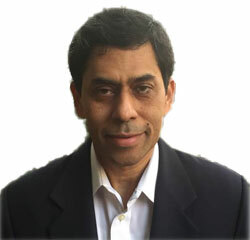 Dr. Kishor Rao is a member of reputed organizations like the Indian Medical Association, Neurological Society of India and the Skull Base Surgery Society of India. Dr. Basavaraj is a Specialist Joint Replacement Surgeon, based in Bangalore, India (Presently working at Bgs GLOBAL Hospital). He specializes in Hip and Knee Joint Replacement Surgeries including complex Primary and Revision Joint Replacements. He has over 20 years experience of having worked in various Premier Institutes in India & in U.K and he holds final specialist Orthopaedic degrees from both the countries. 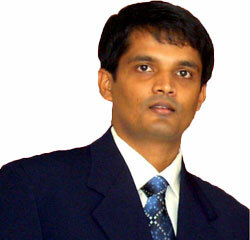 He has done his Postgraduate Orthopaedic training at Kasthuraba Medical College, Manipal, India. 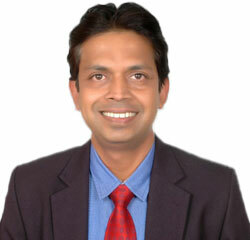 He also has experience of working as a faculty at St John’s Medical College Hospital Bangalore, India for over 6 years. He received British Council Sponsorship for higher training in Orthopedics at U.K. He spent about 9 years in the UK gaining valuable experience in Joint Replacement Surgery of both Hip and the Knee. 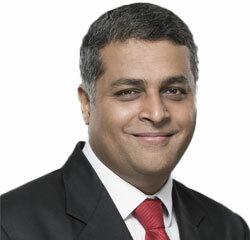 He has obtained two advanced fellowships in the fields of Computer aided joint Replacement and Revision Joint Replacement in the UK. He has organized conferences on joint replacement surgery, which included live demonstrations. He has done podium presentation at various national and international Orthopaedic meetings. 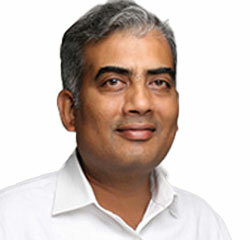 He has been invited as faculty in several conferences. He has written scientific articles on lower limb Arthroplasty and limb reconstruction. He attends various CME sessions (including National and International) to keep himself updated on recent advances. Dr Basavaraj routinely uses Computer assistance for all the knee replacements. Dr Basavaraj practices accelerated rehabilitation (rapid recovery) after both hip and knee replacements which can lead to early functional recovery and improved patient satisfaction. I was born in 1965 in Ernakulam district of Kerala. My father, Mr. L. Sanjeev Pai, retired as the General Manager of Canara Bank, My Mother, Mrs. Vasantha Kumari, is a house wife. I did my schooling in Kolkata and Bangalore. I completed my MBBS successfully (all examinations in single attempt in first division) from the Armed Forces Medical College Pune in Nov 1987. Subsequently I worked as an intern for 6 Months in king Edward Memorial Hospital, Mumbai and the next 6 months in Bowring & Lady Curzon Hospital, Bangalore. I joined the direct 5 Year Neurosurgery DNBE Programme in Madras Medical College, Madras in 1989 and successfully completed the same in 1995 passing all the four examinations of the course in single attempt. Since then I was working in the Dept. of Neurosurgery at M.S. Ramaiah Medical College, Bangalore and I held the post of Professor of Neurosurgery & HOD in charge of the same department. At presently I am the Professor and HOD of Neurosurgery at Bangalore Medical College and Research Institute. 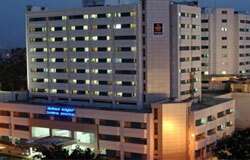 I am the special officer of trauma block of Victoria Hospital, Bangalore. This is a 220 bedded hospital block devoted to all kinds of trauma and emergency care. At present it is the biggest trauma care centre in India. Are you looking for affordable cost of Posterior Lumber Interbody Fusion Surgery in Top Hospitals of India? Please consult us to get FREE Quotes, Opinions from TOP Hospitals and BEST Surgeons in Bengaluru, India for Posterior Lumber Interbody Fusion Surgery. CLICK HERE to get a "No Obligation Quote"